photographs as depicted by these images of the Napa River Bridge in Vallejo, California. The Aerial Photography Single Frame Records collection is a large and diverse group of imagery acquired by Federal organizations from 1937 to the present. Over 6.5 million frames of photographic images are available for download as medium and high resolution digital products. The high resolution data provide access to photogrammetric quality scans of aerial photographs with sufficient resolution to reveal landscape detail and to facilitate the interpretability of landscape features. Coverage is predominantly over the United States and includes portions of Central America and Puerto Rico. Individual photographs vary in scale, size, film type, quality, and coverage. *The Alaska High-Altitude Photography Program was flown by these two organizations. Single Frame Records include black-and-white, black-and-white infrared, natural color, and color infrared images. This USGS EROS film collection spans decades and includes a wide variety of films with different sensitivity, resolving power, granularity, and sharpness characteristics. Black-and-white (BW) panchromatic film is sensitive to the full visible portion of the electromagnetic spectrum of light and captures images in tones of gray ranging from black to white. This is the most widely used type of film in the USGS EROS film archive. Black-and-white infrared (BIR) film is sensitive to the visible portion of the spectrum of light and extends into the near-infrared region of the spectrum. Near-infrared wavelengths differentiate various types of vegetation, penetrate atmospheric haze, and show good contrast between land and water. Vegetation appears white to light gray in black-and-white infrared images. Color film is sensitive to blue, green, and red in the visible region of the electromagnetic spectrum of light and has the appearance of natural color. Color photography is a valuable image interpretation tool with a wide range of applications since the imagery is a close visual reproduction of the original scene. Color infrared (CIR), or false color film, is sensitive to green and red in the visible portion of spectrum of light and extends into the near-infrared region of the spectrum. Vegetation is distinctly red to magenta in color infrared images because vegetation is highly reflective in the near-infrared portion of the spectrum. CIR photography utilizes high speed film that is subject to degradation prior to processing, which can create an overall blue cast to the image. The medium and high resolution scanned images are captured as they appear on film and are representative of the full tonal range of the original film source. The scale of the image is the ratio of the distance on the image compared to the equivalent distance on the ground. An image with a scale of 1:24,000 means that one inch in the photo is equivalent to 24,000 inches on the ground. An image with a scale of 1:8,000 would cover a smaller area on the ground with the landscape details appearing larger than an image with a scale of 1:24,000. The photographs in this collection were acquired by a variety of Federal agencies for a wide range of applications and have scales ranging from 1:1,000 to 1:199,000. The images in the Aerial Photography Single Frame Records collection may have feature displacement and scale variation caused by differences in elevation, lens distortion, and camera tilt. Users should note that the images have not been georeferenced. Aerial photographs are acquired by aircraft equipped with mapping cameras. The recording technique can be vertical or oblique. The majority of the USGS EROS film collection is vertical photography, which is obtained with the camera pointed at the ground. Oblique images are taken with the camera pointed at an angle and offer a different perspective, which provides an additional tool for interpretation of landscape features like shape and texture. The horizon is visible in high oblique images, which are taken at a depression angle of 60°, but not in low oblique images, which are taken at a depression angle of 30°. Images intended for cartographic use typically have a 60% overlap of images within a flight line to allow for stereographic viewing with specialized equipment. Aerial photography mosaics and flight line maps were used to approximate geographic location. Since the accuracy of the coordinates varies according to the precision of source information, users should inspect the preview image to verify that the area of interest is contained in the selected frame. The images in the Single Frame Records collection have been captured as they appear on the roll of film and may need to be rotated to adjust the orientation. Medium and high resolution digital products are reproductions of aerial photographs. The original photographs have geometric inaccuracies and users should note that the images have not been geocorrected. The Alaska High-Altitude Photography (AHAP) program was a State and Federal partnership to acquire consistent aerial coverage over Alaska. NASA Johnson Space Center and NASA Ames Research Center aircraft were used to photograph the state between 1978 and 1986 at 10 percent or less cloud cover. Approximately 70,000 frames of images were taken using two cameras with different focal lengths and film types. The AHAP collection includes black-and-white images at a scale of approximately 1:120,000 and color infrared images at a scale of approximately 1:60,000. The AHAP program set a standard for cooperative projects, and the concepts of the project were used to build the National High Altitude Photography (NHAP) Program and National Aerial Photography Program (NAPP), which are listed as separate datasets under aerial photography. EarthExplorer offers medium and high resolution digital products for the Aerial Photography Single Frame Records collection. The files are stored in Tagged Image File Format (TIFF). Medium Resolution Digital Aerial Products were created with a digital single-lens reflex camera at a resolution of 63 microns, or 400 dots per inch (dpi). High Resolution Digital Aerial Products were created with digital scanning back systems at a resolution of 25 microns, or 1,000 dpi. A geometric calibration is applied to each image to correct for distortions caused by the scanning process. The high resolution scans provide access to high precision data for photogrammetric applications. The USGS has a records schedule that transfers film sources to the National Archives and Records Administration (NARA) for permanent storage. The Single Frame Records collection is being systematically scanned at a resolution of 25 microns beginning with film sources that meet NARA records schedule criteria or that are affected by vinegar syndrome degradation. When the high resolution scans have been completed for the photography that meet the criteria, the custom scanning request capabilities are turned off and the film sources are transferred to NARA for permanent storage. EarthExplorer provides medium and high resolution downloads for film sources that are no longer stored at EROS. Aerial photographs that become the responsibility of NARA are retrievable for reproductions through NARA or its vendor companies. On-demand scanning is available for film sources that are held in the USGS EROS film archive. EarthExplorer has an ‘Order Scene’ icon () on the results page for images that are available for photogrammetric quality scanning. Options for high resolution BW images include 25 microns (1,000 dpi), 14 microns (1,800 dpi), or 7 microns (3,600 dpi). Options for high resolution color images include 25 microns (1,000 dpi) or 14 microns (1,800 dpi). Color images are limited to 14-micron due to file size. On-demand film scans for Aerial Photography Single Frame Records are not archived in the USGS EROS database and are not available for download through EarthExplorer. *Standard products are created with a digital scanning back. Medium resolution and existing 25 micron digital images are available for download at no cost. On-demand high resolution film scans are available for $30.00 per frame. A $5.00 handling fee is charged for all orders requiring payment. 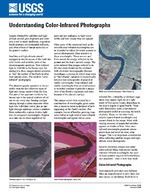 Coverage Maps indicating the availability of Aerial Photography Single Frame products are available for download. EarthExplorer can be used to search, preview, and download existing medium resolution digital files at no cost. Existing high resolution images at 25 microns are also available for download at no cost. For all other higher resolution imagery, an order will need to be placed to scan the film at $30.00 per frame. The collection is located under the Aerial Photography category as Aerial Photo Single Frames. Single Frame browse images should always be previewed online before placing an order to verify area of interest and to check for cloud cover. The images have been captured as they appear on the roll of film and may need to be rotated to adjust the orientation.